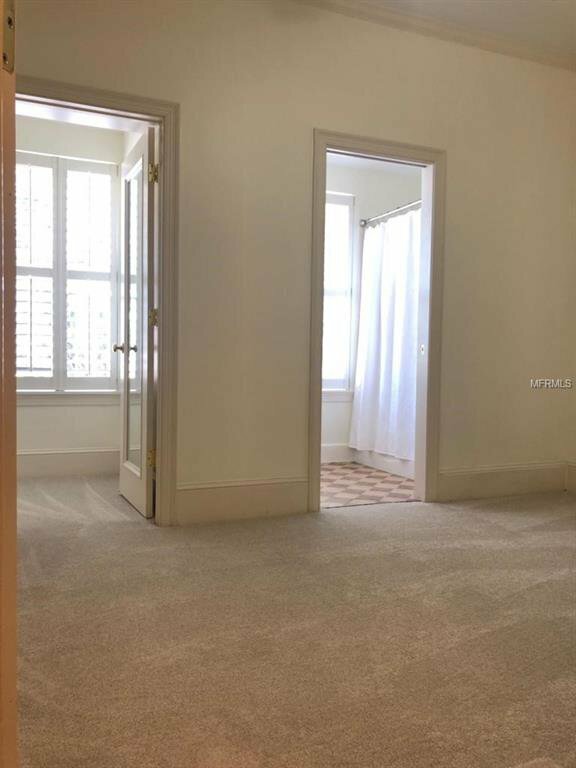 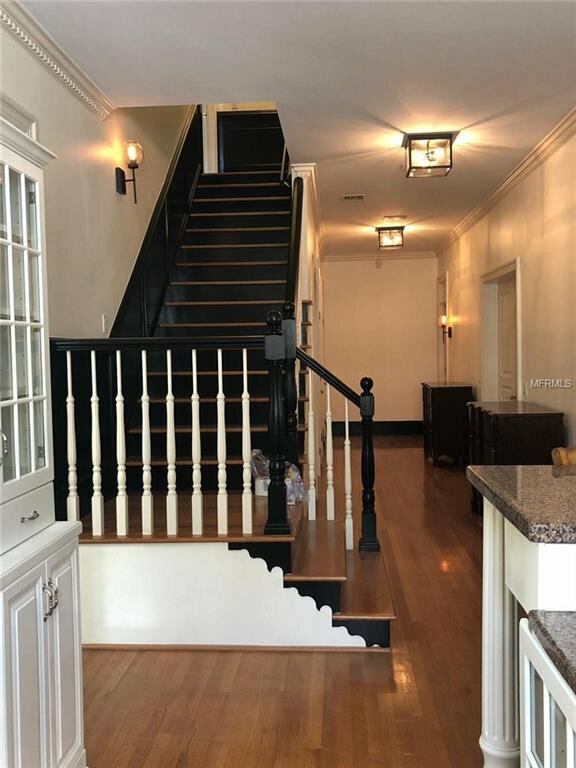 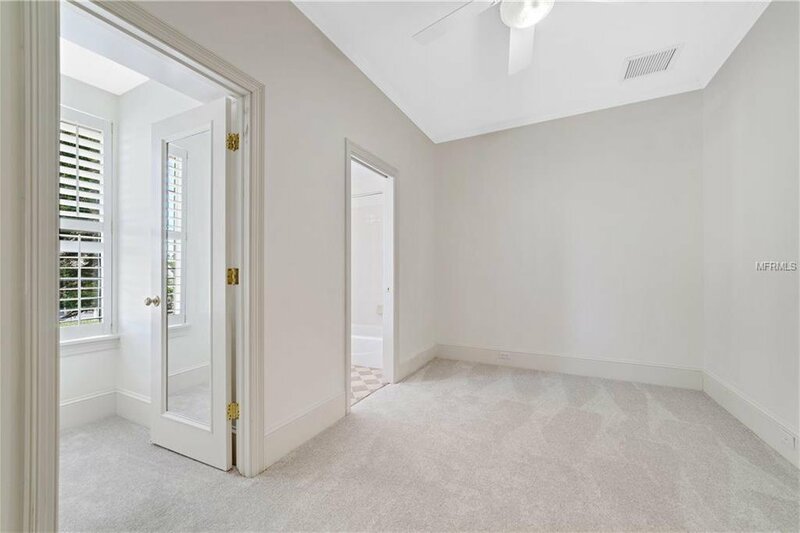 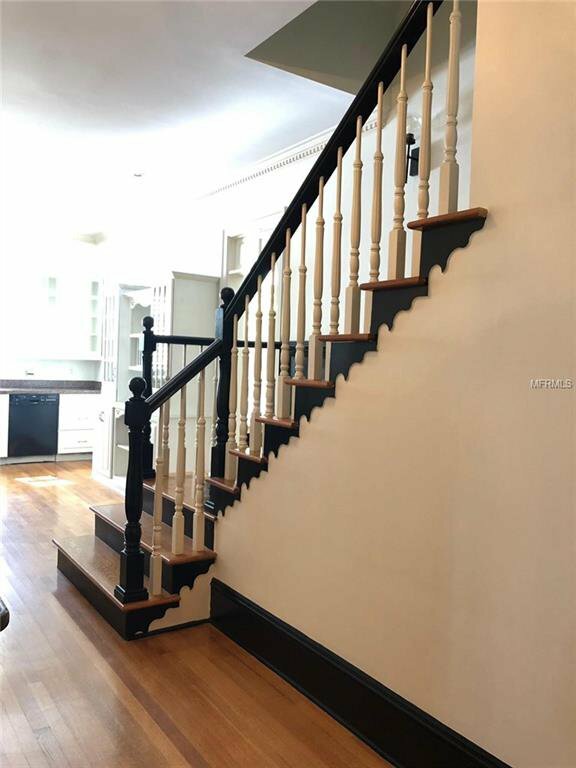 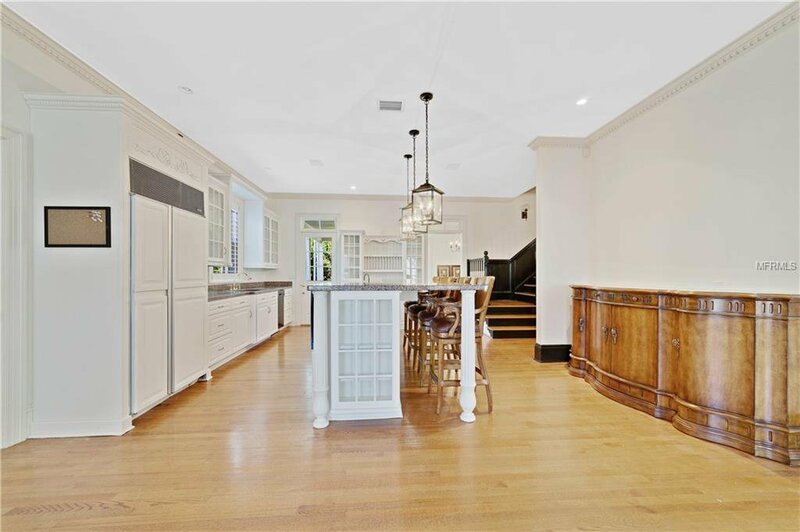 Elegant and FULLY RENOVATED! 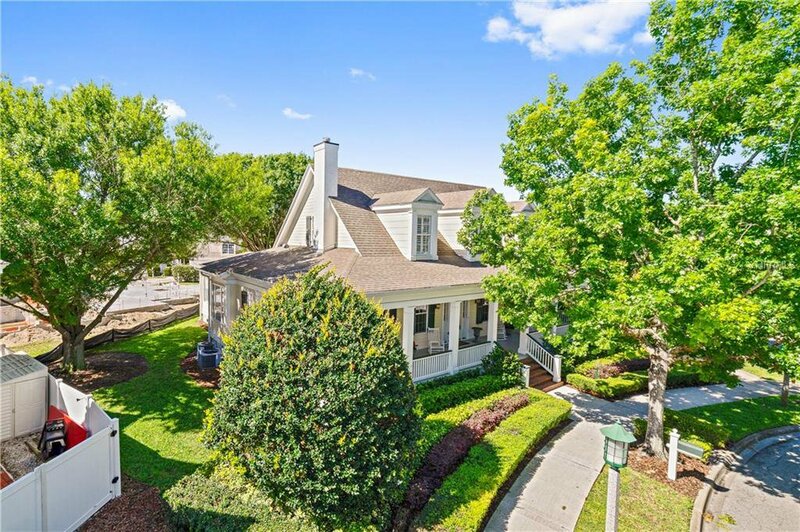 exquisite Southern Charmer, custom built by Derrick Builders in Celebration's Main Village. 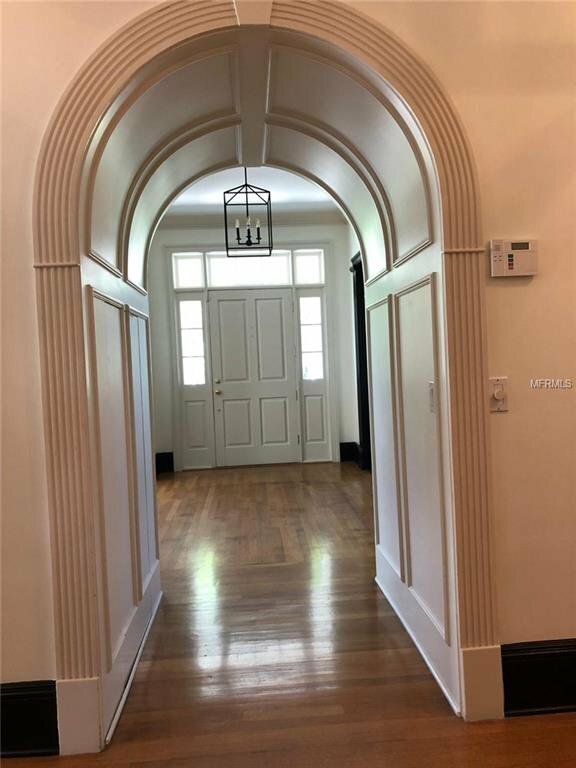 This 5/6.5 home features Lg. 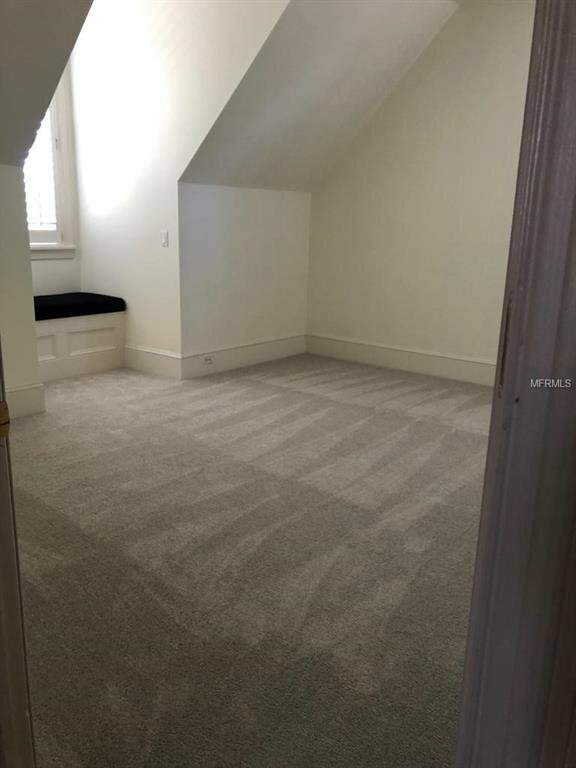 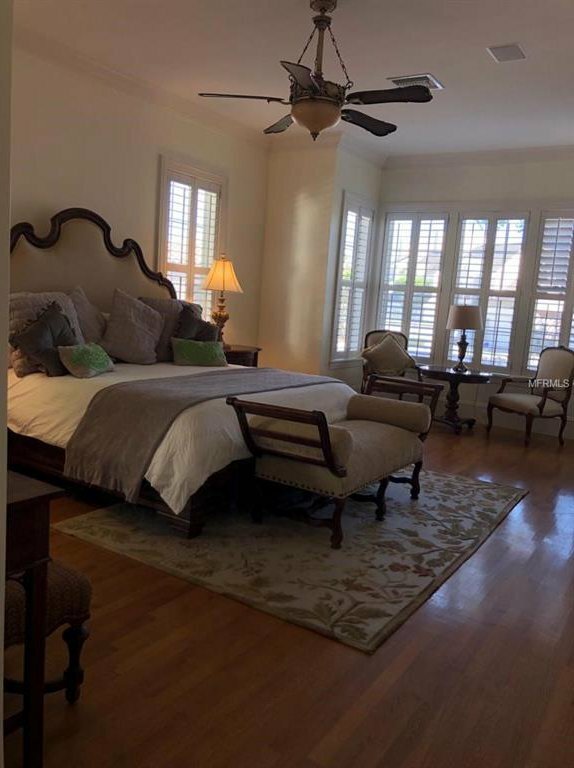 master suite on 1st floor, gourmet kitchen w/ gas appliances, wood floors, guest apt., over sized large lot. 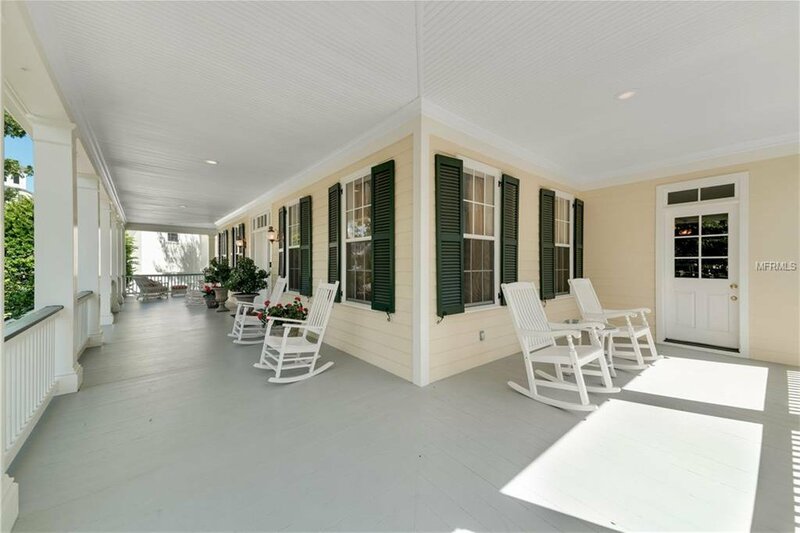 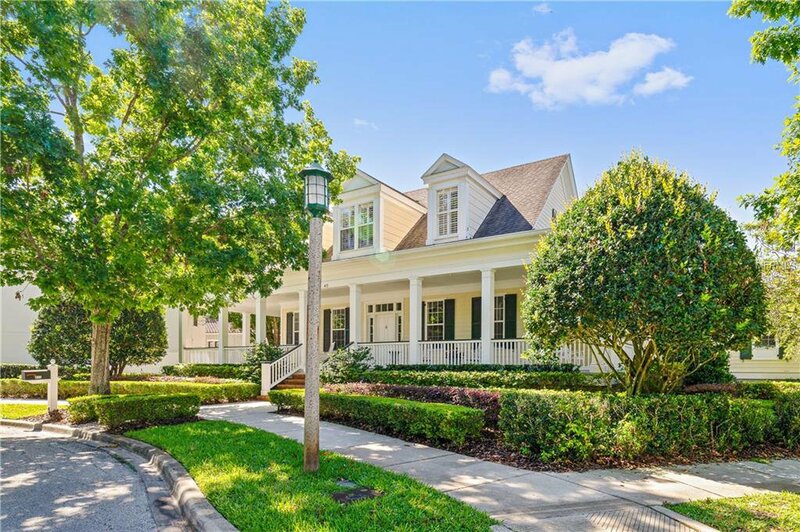 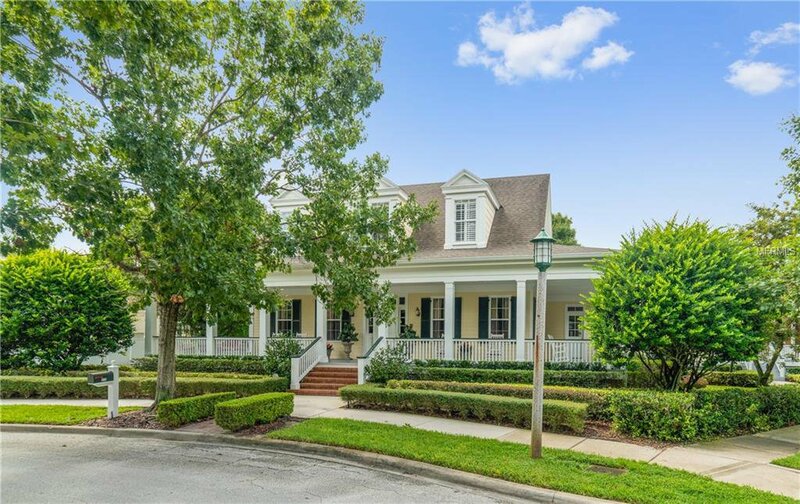 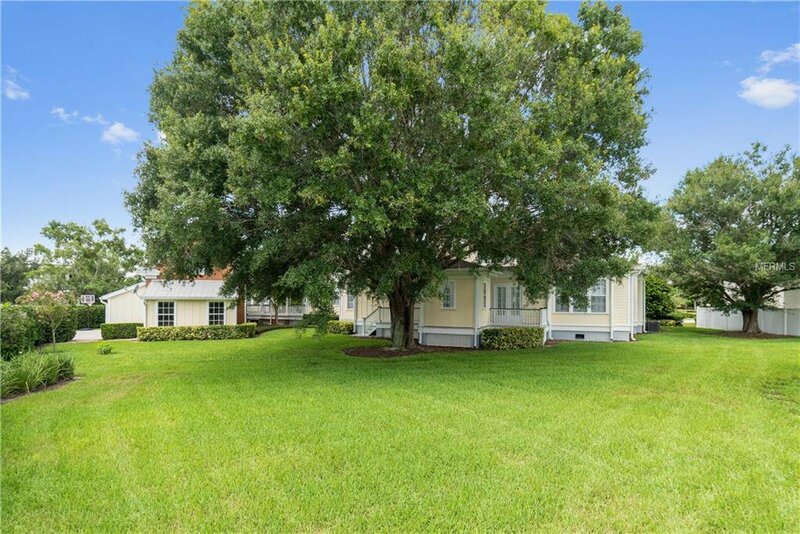 Imagine relaxing on this spacious wrap-around front porch overlooking beautiful Hippodrome Park. 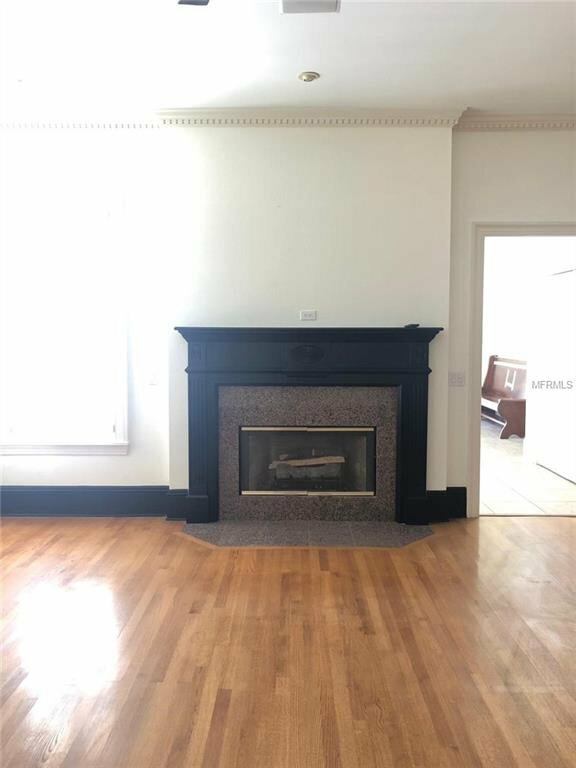 You'll love this desirable location, walking distance to the downtown shops, restaurants, school and parks. 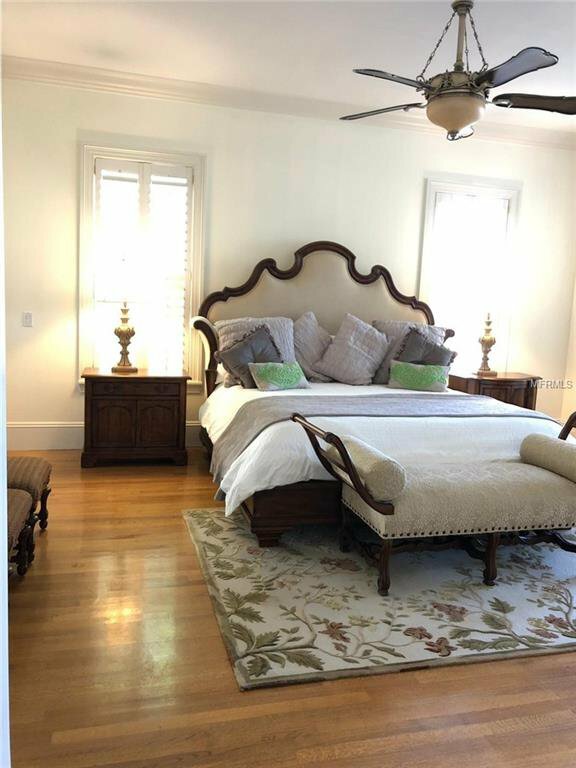 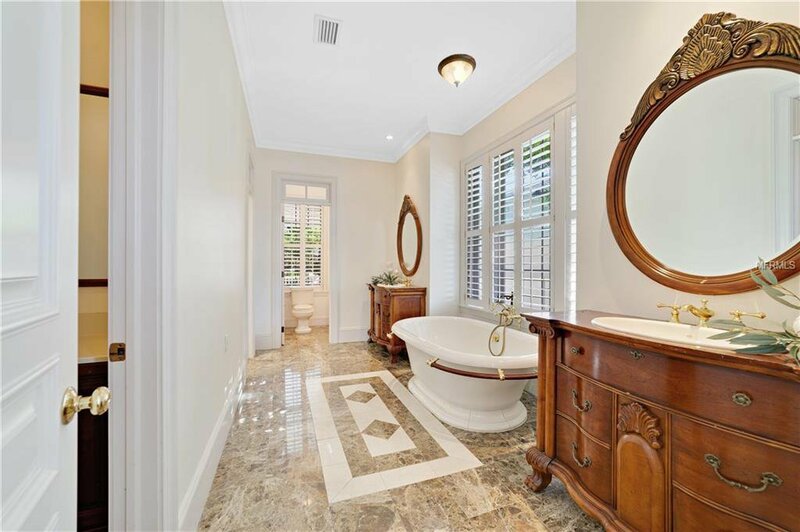 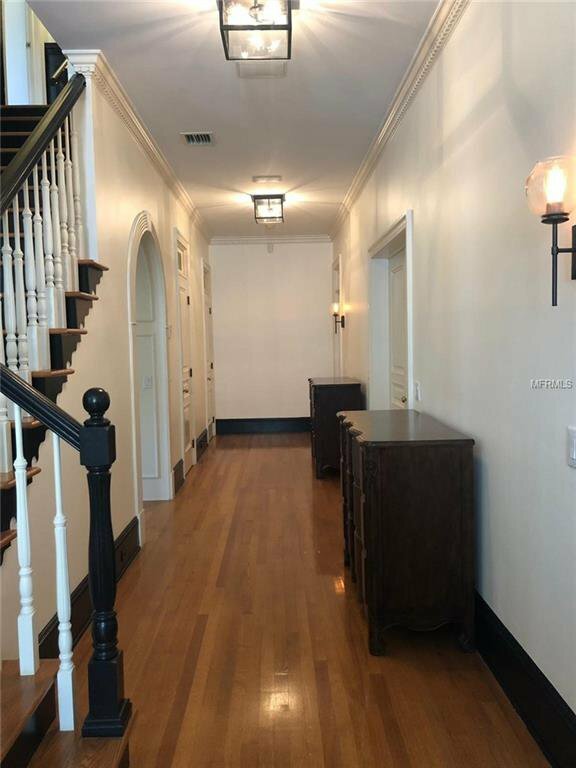 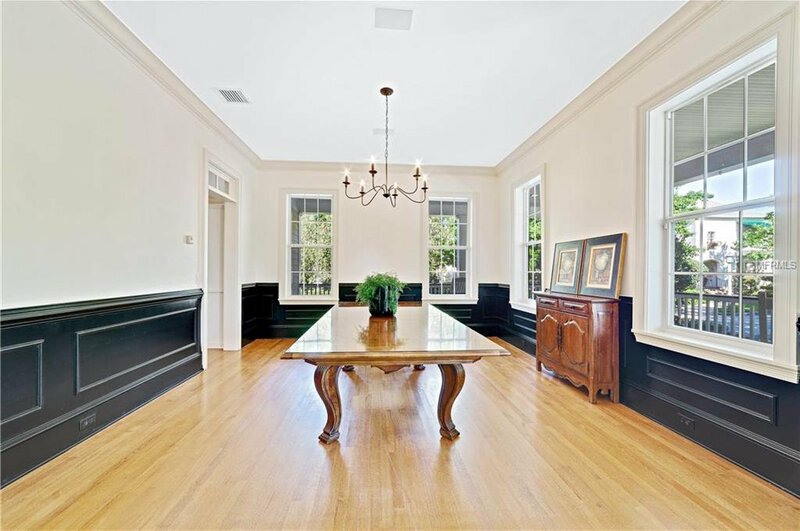 This home has the most beautifully crafted interiors with fine wood and marble, detailed moldings, custom draperies, plantation shutters and impeccable design. 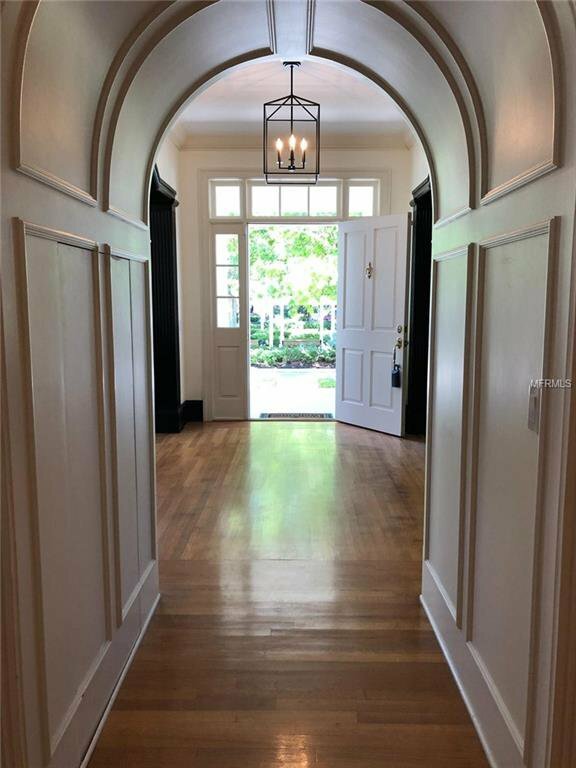 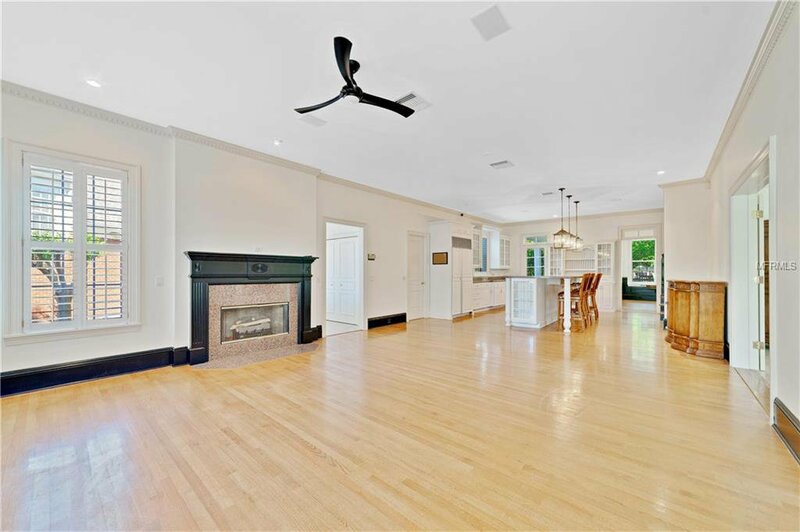 Elegant arched foyer which leads to the large formal dining and living room w/ gas fireplace. 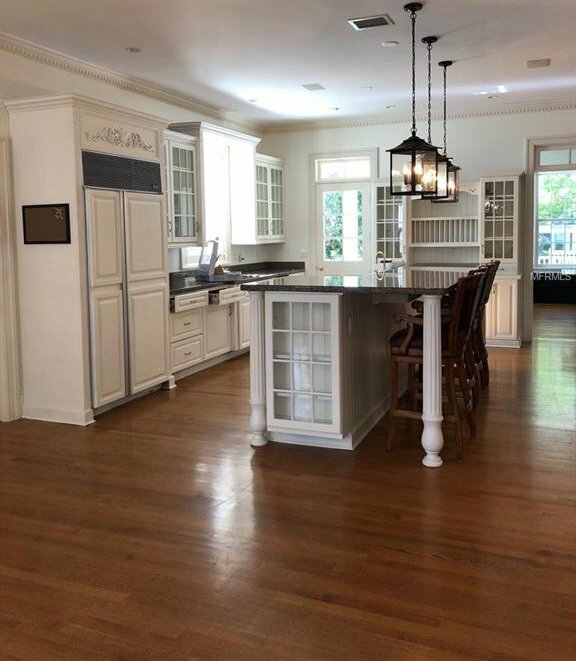 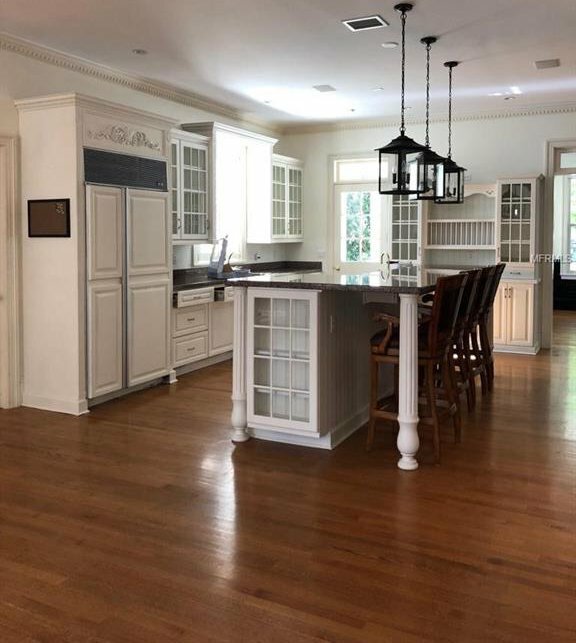 Stunning kitchen with generous granite countertops, Sub Zero refrigerator, Bosch dishwasher, veggie sink, Dacor oven w/ gas cooktop and large walk in pantry. 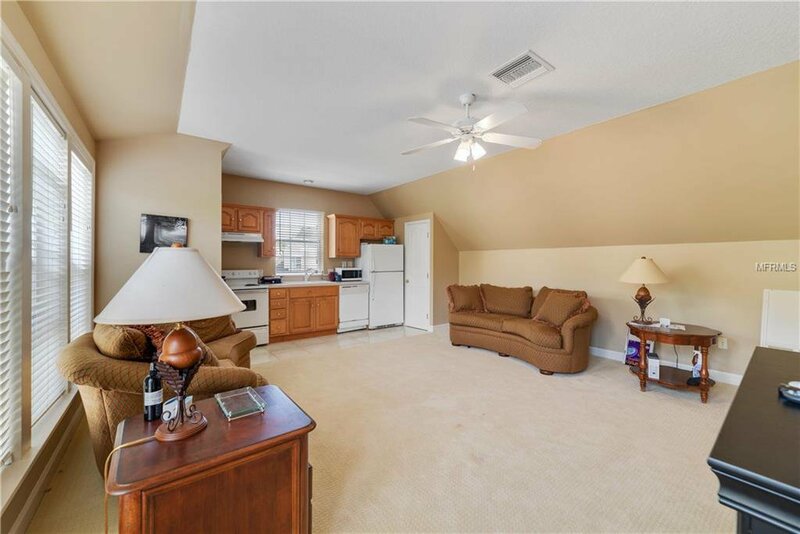 Very large family room w/ gas fireplace-plenty of room to entertain! 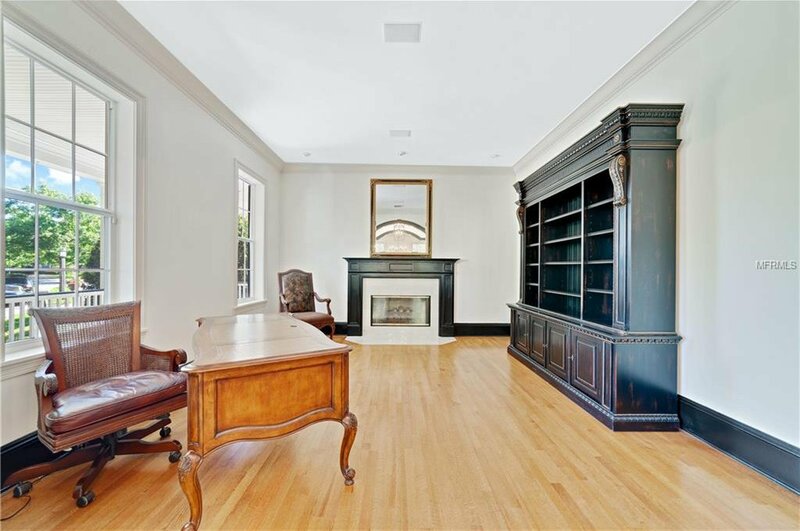 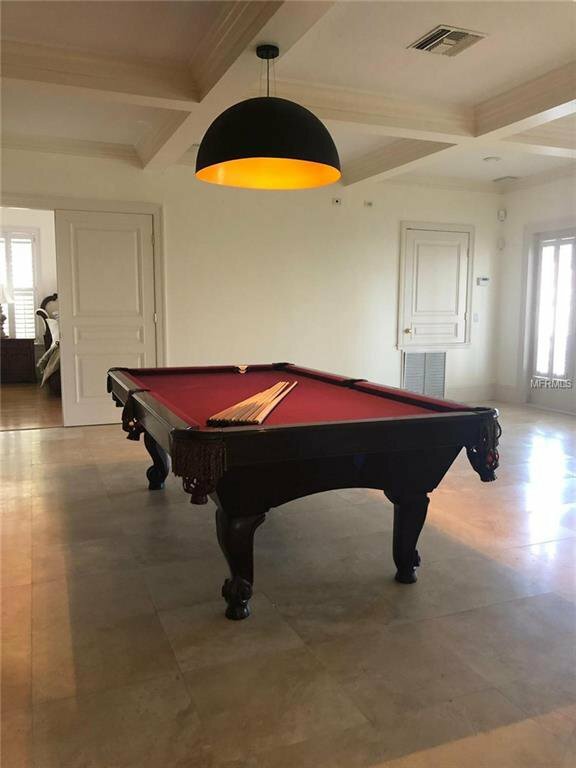 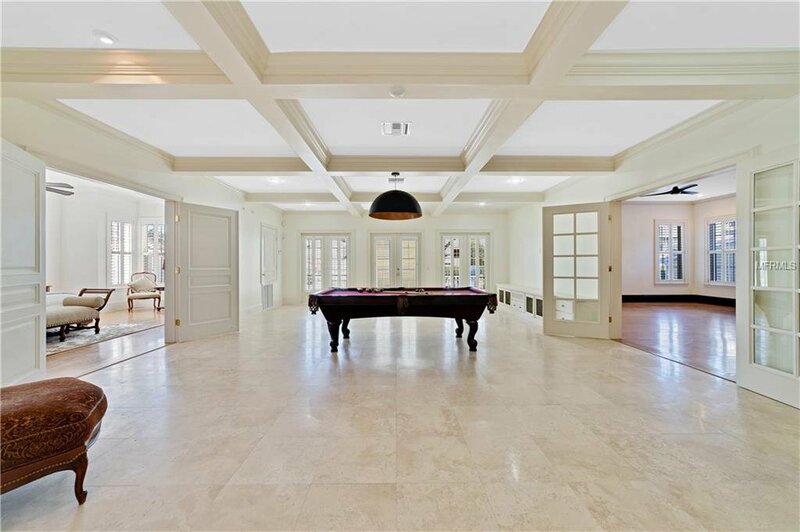 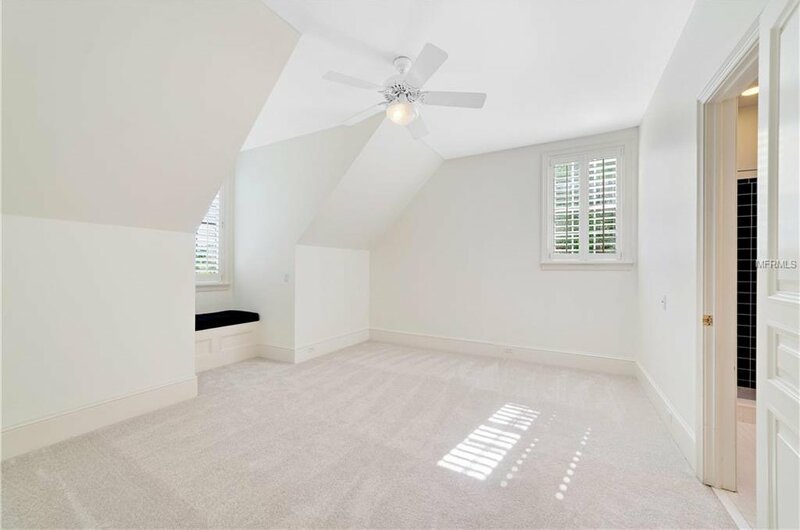 A very spacious Bonus/Game room w/ movie screen, custom built-ins and elegant coffered ceiling design. 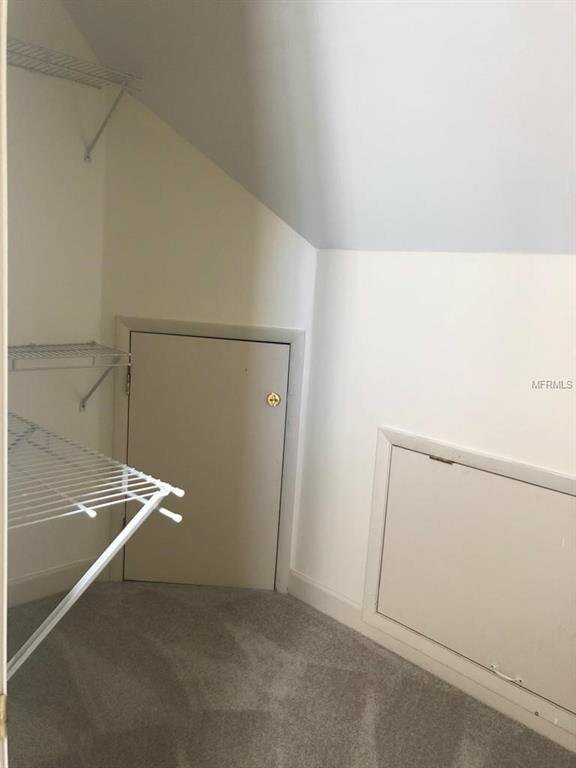 Wonderful storage closets throughout! 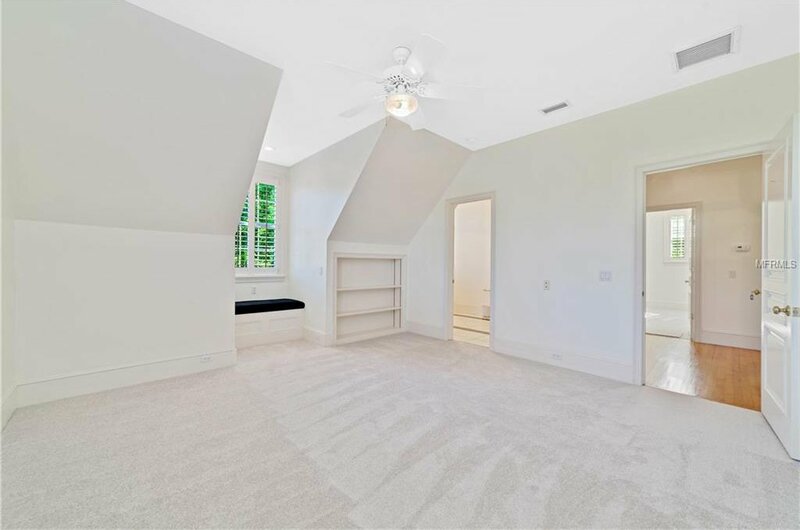 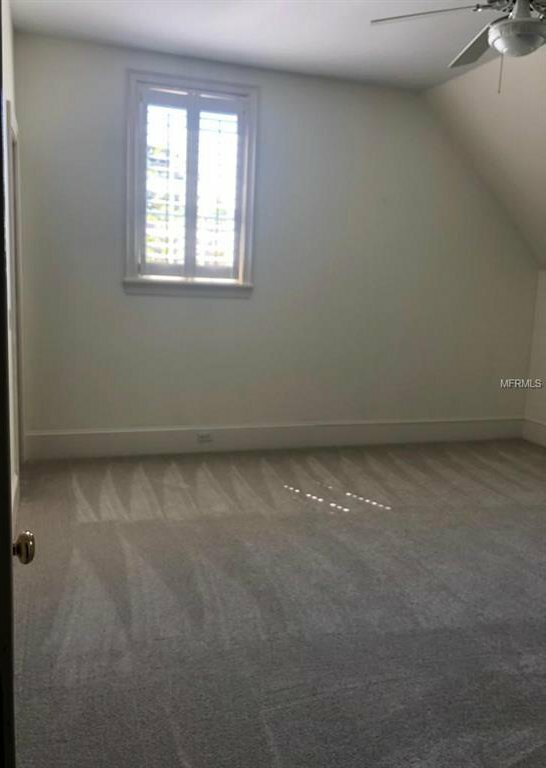 Large Master suite with sitting area to relax. 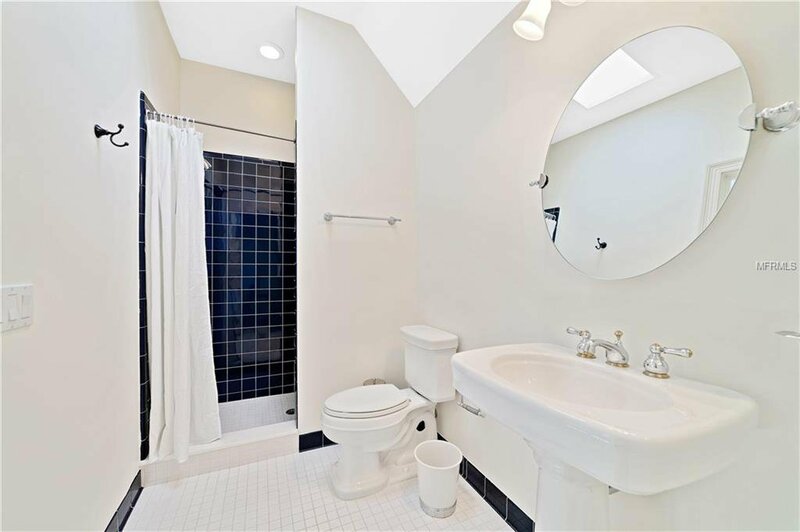 Master bath has Kohler cast iron tub, 2 showers and walk in closet. 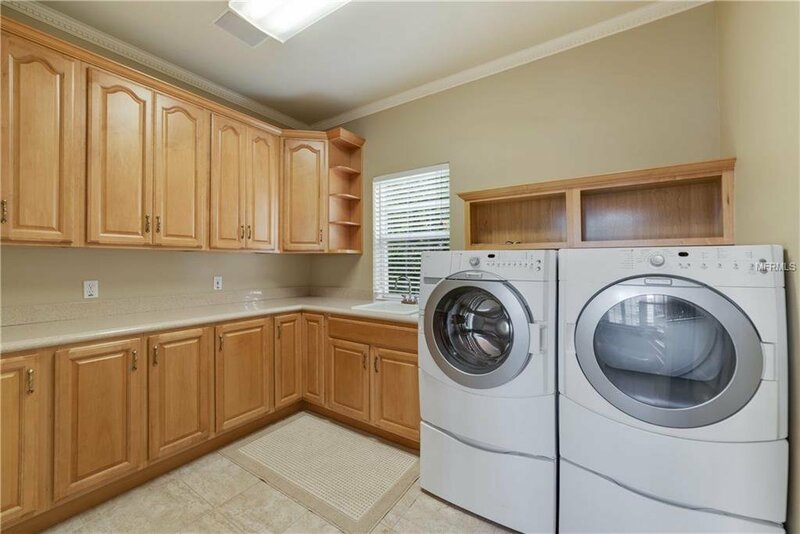 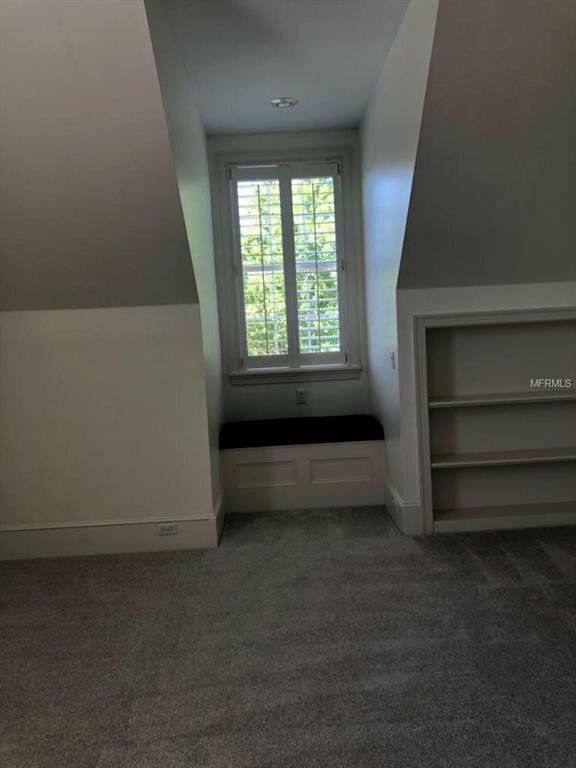 Spacious laundry room and mud room. 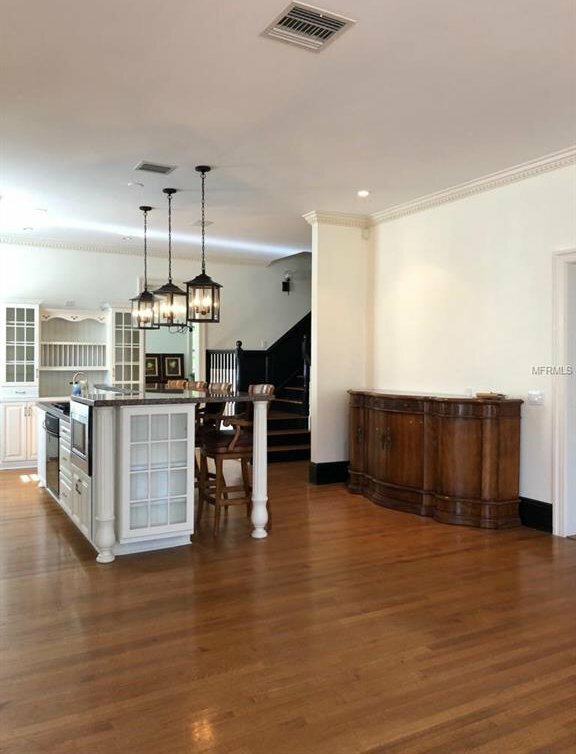 Exquisite attention to details in this custom built home. 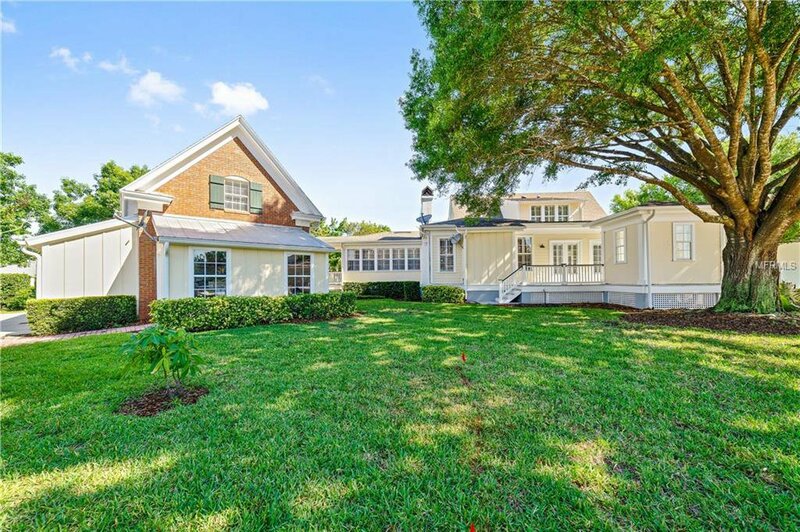 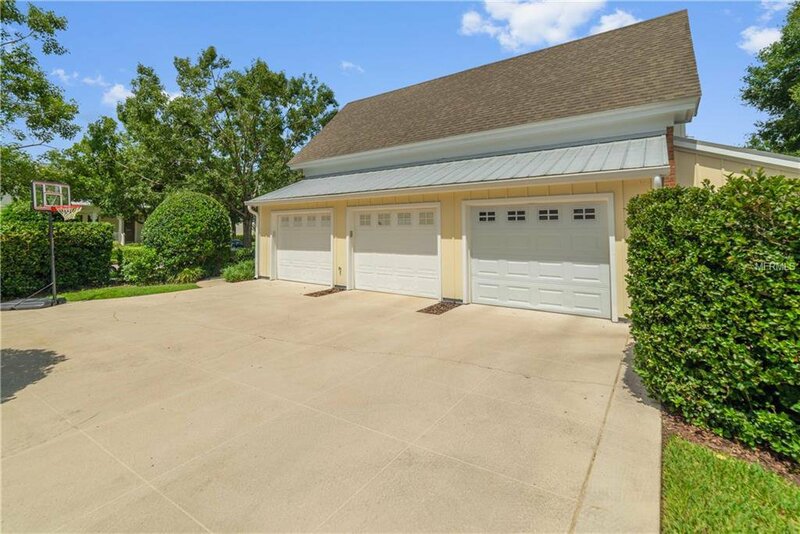 Covered Breezeway to 3 - car garage w/ plenty of storage and attached workshop. 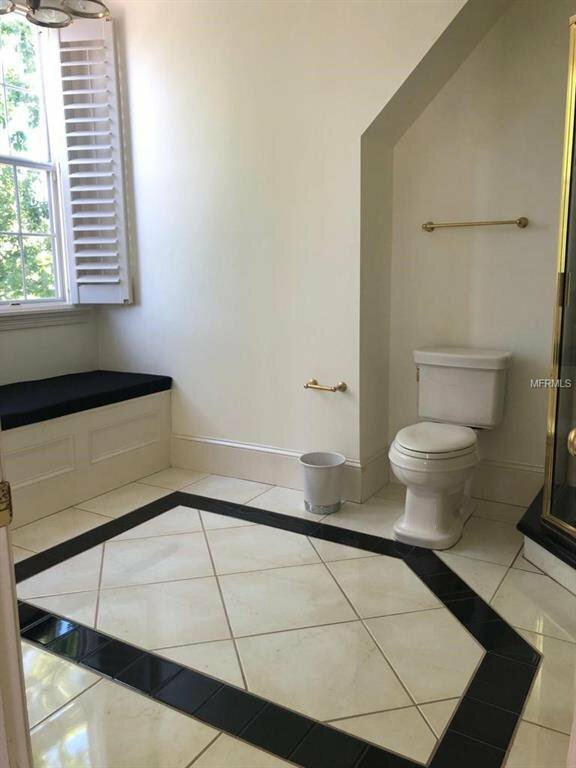 Fabulous Guest apt. 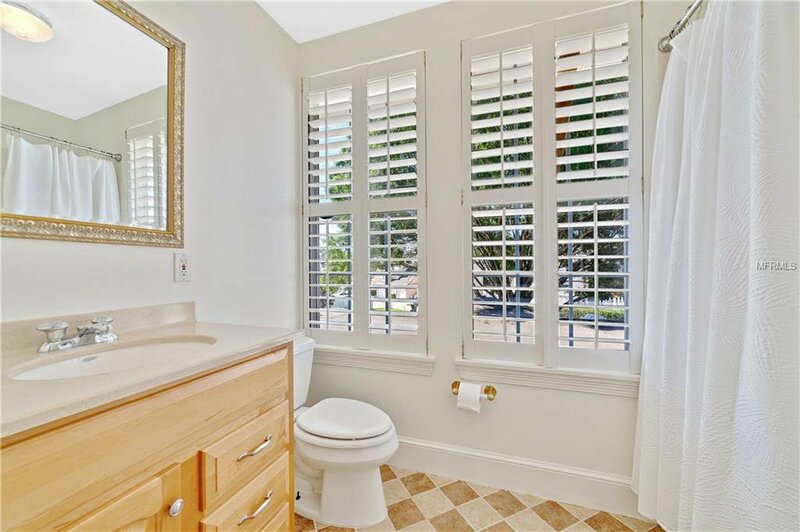 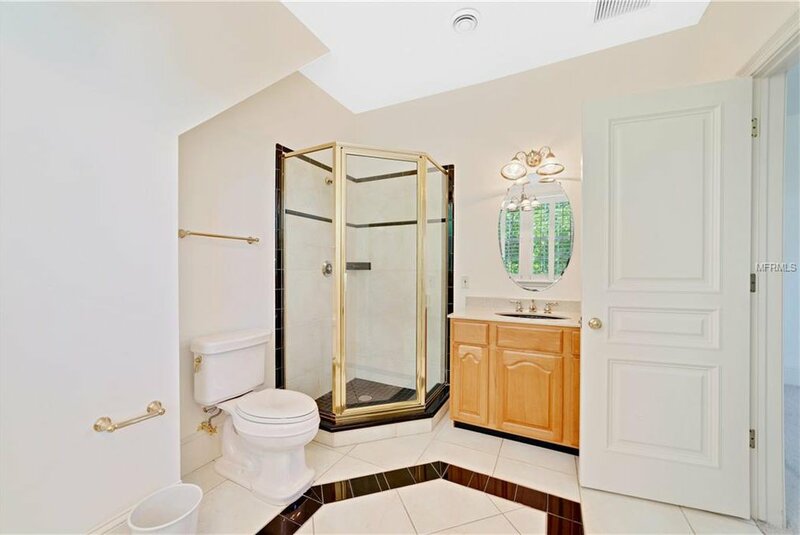 has separate entrance with full kitchen and bath. 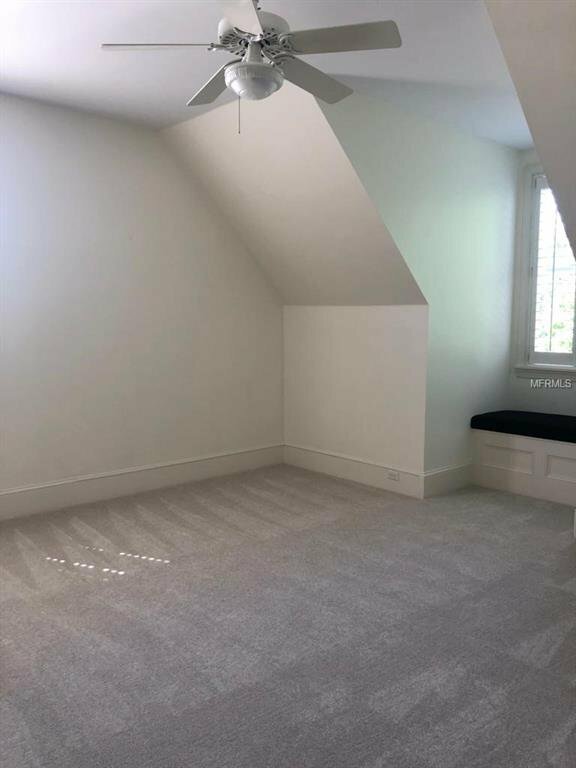 New roof and AC's.